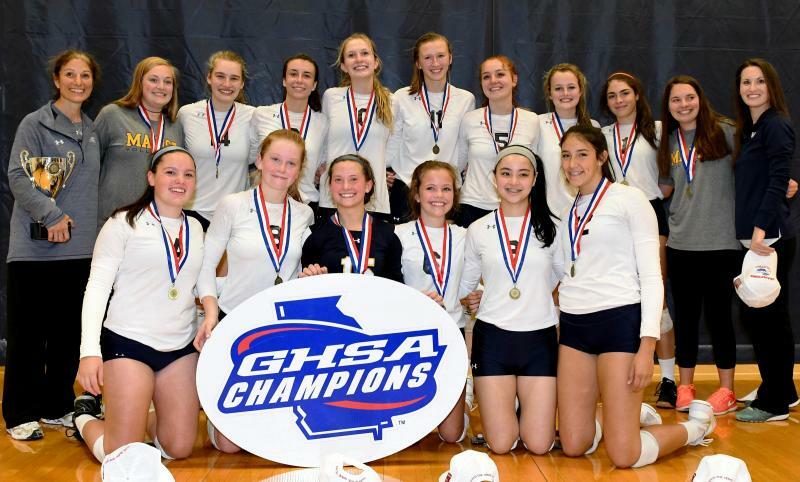 The GHSA Volleyball State Championships presented by Mizuno were held Sat., Oct. 28 at Marietta HS and Holy Innocents’. 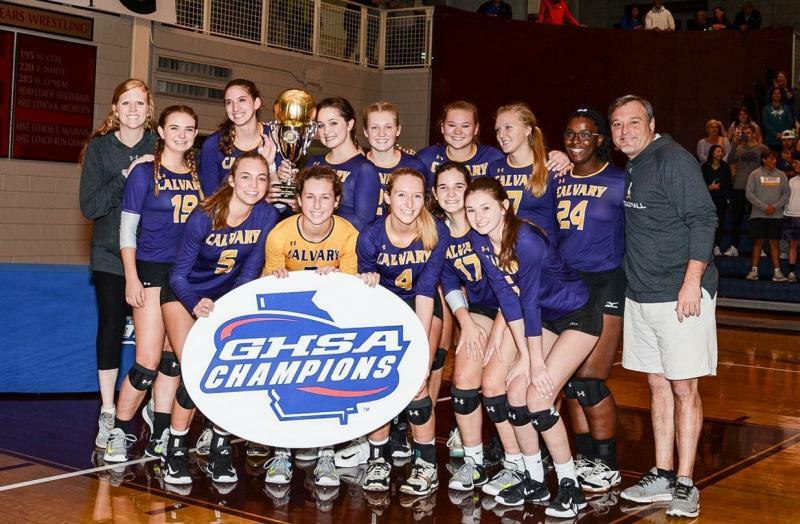 The 2017-18 State Champions were: Walton, Harrison, McIntosh, Marist, Pace Academy, Coosa and Calvary Day. 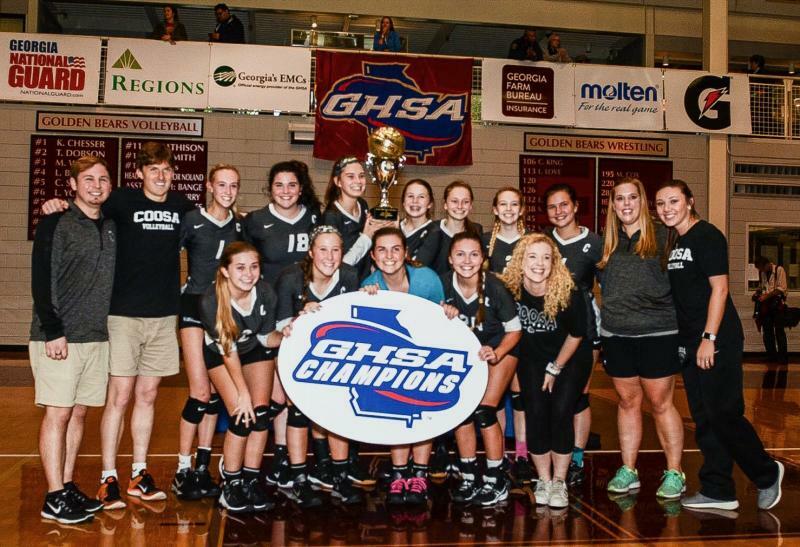 It was a first-time volleyball state championship for Coosa and Pace Academy. 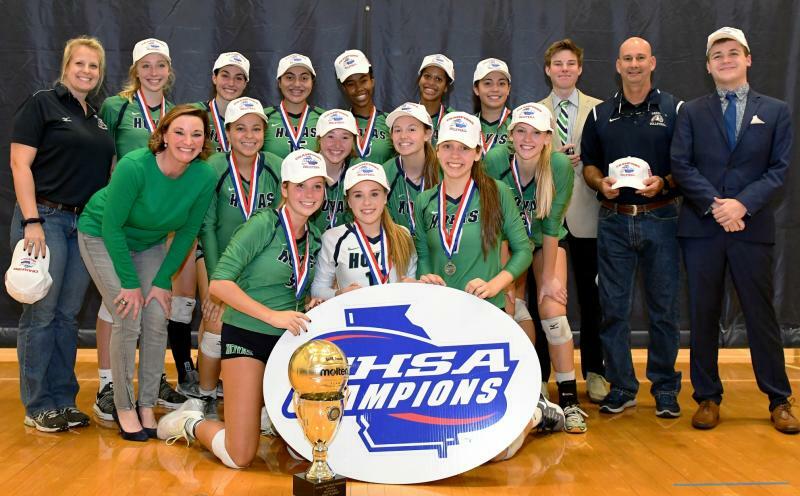 Marist (6) and McIntosh (3) returned to claim state title success, while back-to-back winners from a year ago were Walton (12), Harrison (3) and Calvary Day (3). View complete past champion history. 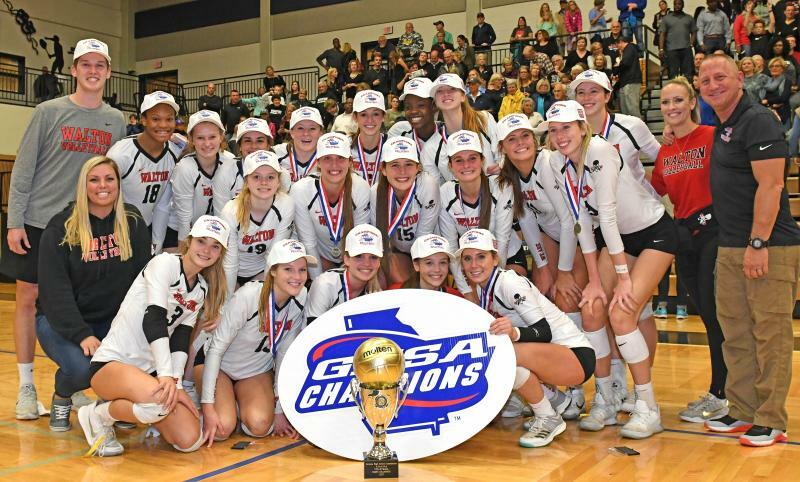 Watch the championship matches on NFHSNetwork.com/GHSA free on demand three days after the event. DVDS available to order at NFHS Network - High School Happens Here. Order action photos at theathleticimage.com (MHS) and chrystalmoore.com (HIES). 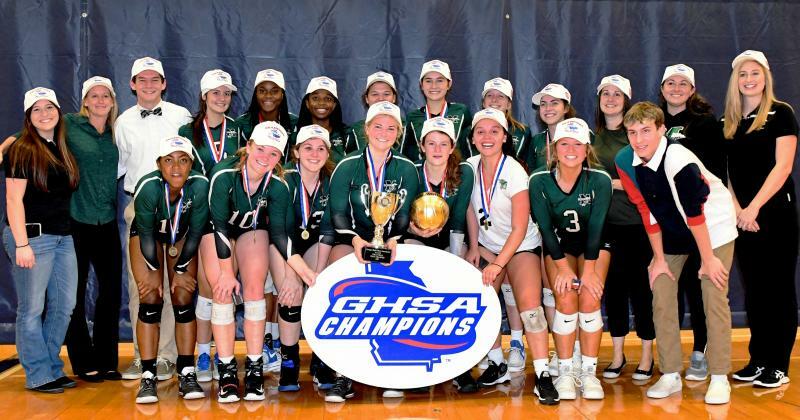 Championship photos by Bill McGuire and Chrystal Moore. Event t-shirts can be purchased at ghsa.teamip.com. 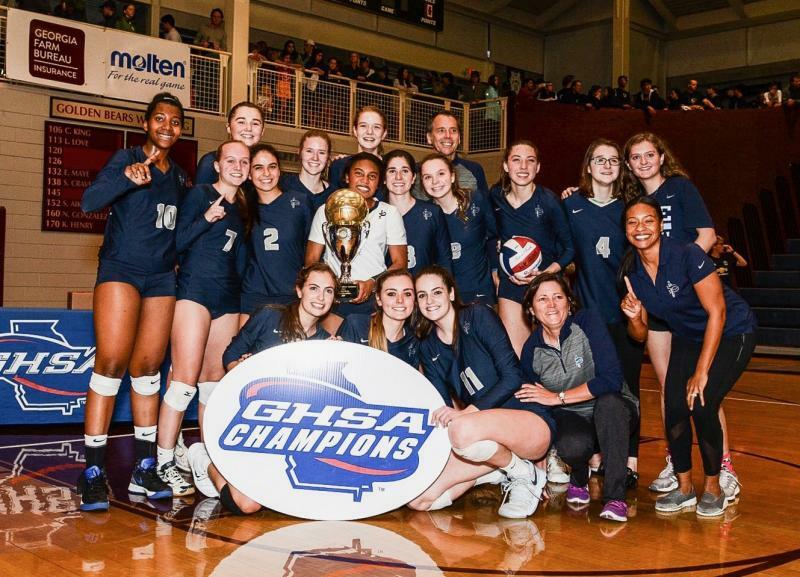 Appreciation goes to site hosts Marietta HS and Holy Innocents’ and their hard working staffs, volunteers, officials, GHSA staff, fans and corporate partners, who made this championship event a big success.